There are a few different places you might be considering. They probably include the obvious ones: Babies “R” Us, Buy Buy Baby and Target. When I was pregnant, I spent so much time looking at the different registry programs to find one I liked. I didn’t want to jump straight to Babies “R” Us like some people suggested I do. Since I took so much time figuring it out, I thought that I might as well summarize my research for everyone else’s benefit! Today I’ll tell you about the 5 main baby registry programs, and which one I recommend you use! I personally went with Amazon for my registry. Not only did they have the widest selection, but being a member of Amazon Mom, I got a 15% completion discount. I’d personally recommend Amazon for your registry, but some of the other options are good, too. I went through and listed the benefits, perks and completion bonuses of the 5 most popular baby registries: Amazon, Babies r Us, Buy Buy Baby, Target and Pottery Barn. Of all of them, the only one I couldn’t really recommend was Target, and you’ll see why. Amazon has a great baby registry that’s becoming more popular by the year. And it’s my personal favorite. Click here to see the details of Amazon’s free registry! The biggest benefit is that they give 10% off select items in your registry, or 15% if you’re a member of Amazon Mom (which is a great service, especially for diaper shopping). 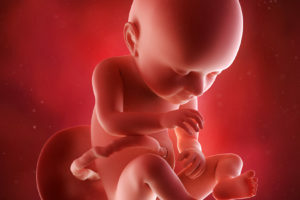 The way the completion discount works is this: select items (not everything, but most) purchased within 30 days of the baby’s due date for up to $5000 worth of products. This is pretty significant; if you have $2000 worth of products, you’ll save $200 ($300 as an Amazon Mom member) right off the top, and that’s not even including they’re regular sales and discounts on baby stuff. You can add products from any site, not just Amazon, so it makes for a great all-in-one registry compared to other places. So, for example, if you find something on the Babies r’ Us site that you want, you can simply add it to your Amazon Baby registry with the click of a button. Easy peasy. Another reason I liked Amazon Baby is that the prices on Amazon tend to be cheaper compared to other places. Amazon is pretty great that way. If you combine the cheap prices, the 10-15% discount and free shipping with Prime, it can really add up and save a lot of money. Amazon has an awesome return policy, too. Pretty much all baby gear is eligible for free returns for 90 days after purchase; we all know how fussy some babies can be, so this is excellent. I was also pleased to find out that the gift-giver is not informed that the item was returned, so you could theoretically use the return credit on anything you wish. Finally, Amazon has a huge selection of products. They carry virtually everything under the sun that you could possibly want on your registry list: baby bottles, car seats, strollers, baby monitors, etc. You can put together a complete registry easily. The downside to Amazon’s baby registry? Some people prefer shopping from physical stores as opposed to online. All in all, this was my personal choice for my baby registry. They have a great little system and it’s hard to choose anything else over them! If you have family members that prefer not to buy things online (understandable, especially for those families with generational differences!) they can still buy from brick and mortar stores and mark it as purchased. All they have to do is look at your registry, and then there’s a button you can click on each of the registered items to mark it as purchased. 1. First, send them a link to your baby registry. If not possible, they can search for it on the registry website located here. 3. Have them find your registry. It shouldn’t be too hard, even if you have a common name. 4. Scroll down and find the items purchased. They should see a button that says “Mark as purchased.” and should click it. 5. A box will pop up where they enter the information, including their name, where they purchased it, and their email. 6. They should go to their email and click the link Amazon sends them to confirm. That’s it! It’s really easy to use, even for people who aren’t internet savvy. Worst case scenario, they could ask a friend or relative who is to go through the process and mark it as purchased for them. Other perks: Universal system, can add items from any store. Just click on this link and click on the left where it says “Create a Registry“. It’s a really simple and short process! Babies R’ Us is one of the most well-known baby stores, and their registry is maybe the most popular of all. They offer some nice perks; they’ll price match anything from other stores, and that includes Amazon, but it needs to be an in-store purchase. They offer a 10% completion coupon that you receive in the mail. It can be used in-store or online, but the catch is that it can only be used for one single purchase. Not everyone is going to want to buy everything all at once, and it is only usable on items that you included on your registry. You also get 5-10% back in the form of a gift card for any item purchased from the registry, whether you purchase it or a gift-giver does. You get 5% on your first $300, and 10% on anything over $300; for example, if you spend $1000 you’ll get $85 back in giftcard form. You’ll receive the giftcard approximately 10 weeks after the baby’s due date. The biggest perk of the Babies R’ Us registry is the generous return policy. They’ll accept returns (for store credit) up to 1 year after your due date for any item that’s on your registry. They definitely win out in this regard compared to the other registries. On the downside, the selection isn’t nearly as good as Amazon and the prices tend to be more expensive overall. On the other hand, they will pricematch Amazon.com prices if they happen to carry the same items; you can only price match in-store, not online. While not as good as Amazon’s registry in my opinion, it does work well for parents who don’t necessarily want to purchase online and feel more comfortable shopping in-store. Buy Buy Baby is the baby offshoot of Bed Bath & Beyond; the benefit of this is that those 20% off BBB coupons that might stack up can be used at Buy Buy Baby, which might really come in handy. They will exclude certain high-end brands from the 20% off coupons, though. Buy Buy Baby is known to have excellent customer service, and their selection tends to be better than Babies r Us, but not quite as good as Amazon’s. They offer free in-store “consultations” with an expert, which sounds nice at first, but in practice it ends up being pretty annoying and pushy. Judging by the experiences of a few moms, they end up walking around and adding things to your registry you didn’t ask for and overwhelming you with information on every item. It ends up being more of a hassle than a perk. BBB offers a completion discount that seems to vary between 10-15%, and you should get it a few weeks before your due date. Pretty standard. Their return policy is pretty good, and they’ll accept returns up to 90 days after due date even if you don’t have a gift receipt. The problem with Buy Buy Baby is that they aren’t nearly as widespread as Babies r Us, so if your gift-givers are going to be shopping in-store, this could really make the difference. Not exactly the most popular baby registry, but not for lack of perks, Pottery Barn has a nice baby registry that gets good reviews from parents who use it. The main reason it’s not used as much is because Pottery Barn isn’t really known as a baby store, and their products do tend to be more expensive than the average store. Pottery Barn’s registry has a 10% completion discount that runs for 6 months after your due date, and you can also add things to it during this time that will quality for the 10%. This also counts for non-baby items and furniture! 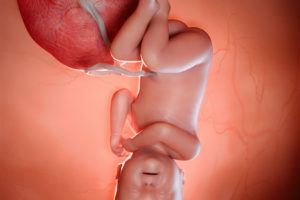 However, there’s a downside; the discount only begins after your due date, which isn’t very convenient, especially when most of the other registries begin their completion discount periods weeks before your due date. You also get 10% off any multiple-purchased items, such as blankets. It could be nice, especially if you’re having twins. People can shop from your registry either online or in-store, but there aren’t nearly as many Pottery Barn locations as Babies r Us or Target. While Pottery Barn tends to run more expensive, their products are very high quality. They also have some cute perks like the option to have items monogrammed or personalized with your baby’s name. As far as return policies, Pottery Barn Kids doesn’t have the best. They offer a 30 day return policy for full refund, but all monogrammed/personalized items are final sale. Finally, they have a monthly $1500 drawing every month for people registered with Pottery Barn. It’s not exactly something that should make the difference, but it’s a nice little bonus. Pottery Barn Kids can be a nice baby registry option for some people, especially if they’re fans of Pottery Barn. While I couldn’t personally recommend it as the best baby registry option, it’s definitely a good one. Completion discount: 10% coupon usable for 6 months after due date, basically functions as 10% PB discount as it can be used on anything. The most convenient registry option: with over 1900 stores in the USA, almost everyone has a Target nearby. The registries can also be accessed online, and it should be noted that their online selection tends to be much better than the in-store selection for baby items. As far as a completion bonus, you get a 15% coupon in the mail 6 weeks before your due date for items not yet purchased. Like the Babies ‘r’ Us coupon, it’s only good for one day, but you can use it as many times that day as you want. I’m not sure how useful that is, but some might be able to take advantage of it. The return policy isn’t great. You have 1 year to return new, unopened items if you have a gift receipt; Amazon & Babies r Us will accept opened and used items under most circumstances. The big downside to Target is that their selection is much smaller than both Amazon and Target, especially in-store. Many people find it very frustrating, especially because the stock of various Targets tends to vary wildly; some stores will have certain things while others will have completely different things, and the online stock tends to be gone. All in all, I can’t recommend Target’s registry. The frustrations greatly outweigh the conveniences, and it’s just not worth it. Conclusion: What Registry Do I Recommend? I’d suggest Amazon; in my opinion, they have the best registry for a few reasons. If you’re a member of the Amazon Mom program, you get a 15% completion discount (otherwise it’s 10%, which is still good) and if you have Prime, shipping is free. They also have the widest selection when compared to the other options, but the only downside is that they don’t have physical stores so all of your gift-givers need to be okay with shopping online. 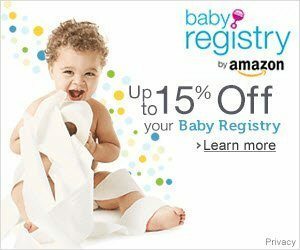 Click here to check out the Amazon Baby Registry program! 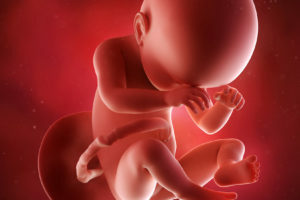 If you don’t want to limit your gift-givers to online shopping, the next best option is probably Babies r Us or Buy Buy Baby depending on whether or not you live in an area where shopping at either is more convenient. Pottery Barn can be a nice choice if you like what they offer, but it is more expensive and less convenient. I couldn’t personally recommend Target, and it should really only be a last resort choice if none of the other ones work for you. Funny you should ask! I’ve written a thorough guide on what you should and shouldn’t have on your baby registry: you can find the guide right here. It tells you what’s necessary and what’s not so necessary. Thank you for pointing out Amazon’s baby registry. I figured that Amazon probably had a lot of good baby products, but I didn’t realize that their registry was so extensive. I have been looking through it since reading this article the first time, and my wife and I will definitely be using it. It’s definitely the best compared to everything else! Thanks a lot for the article! I am going to open my registry on Amazon. I love it! I’m really glad you found it useful! Good luck with the registry! It seems as though guests can still purchase items in store when you register at Amazon, but they need to go online and mark the item as purchased so that the registry is updated. Am I correct? I’m having an out of state shower, and many of my guests will be avoiding online shopping for generational reasons ;) I was hoping to make it easy for them to update the registry though. Do you know how that works? Hi Laura, I updated my guide with a step-by-step explanation of how your guests can mark things as purchased from other stores. Thanks for leaving a message and let me know if you have any more questions! This is a very helpful guide! I registered at Amazon, Babies R Us, and Buy Buy Baby. I love Amazon based on the selection alone, but the one thing I learned the hard way is that if any of your guests make a registry purchase through an Amazon third party (instead of direct or a trusted seller), you *can’t* ship the item back for a return. Instead, Amazon tells you that the purchaser needs to initiate the return which makes it a moot point as you probably don’t want to tell that person you’d like to return their gift. Otherwise, all other returns are straightforward — you just print out a prepaid return label and send it off through UPS or USPS. Question about the Amazon registry. When I look through their FAQ’s online, I notice that for items sold by a third party vendor you’d have to go back to the purchaser to process a return. Did anyone run into this issue? I started to create a registry then noticed that 75% of what I selected was being sold by a third party vendor vs. Amazon. Jamila, that is unfortunately true. Maybe I should add that as a note to my article, thanks for pointing it out. I’m going to check with target customer service to verify (since I did mine with target and BRU), but it appears from their registry completion discount instructions that they’ve recently added the ability to issue multiple 15% off coupons for your friends and family (which I don’t know how they could stop you yourself from using these ~5 coupons on various days in store or online, thereby giving you 5-6 days of separate shopping if needed?). They also have wording that sounds like on the one day you can use your own 15% coupon that it can be done in store AND online – so that way anything you couldn’t get at the store can still be ordered online. Plus remember, with Redcard and cartwheel there’s sometimes additional 5%+ off entire purchase. A lot changed from 2 years ago when I registered for my first child’s birth. Loving my Amazon registry! I find most of my friends have a prime membership so most people are using it. I also registered at BBB but have started to migrate all my items over since no one seems to want to buy from there. I would second what someone else pointed out that you should try and pick the prime items otherwise you can’t return without notifying the sender. I changed my mind on something and now feel like I am stuck with it. Overall pretty happy with Amazon and planning a big delivery using my completion discount! NO! Do not go with Amazon! They will force your friends and family to get a membership ($99) to buy you a gift! Sarah, that’s simply not true. I think there must have been some kind of mix-up, because their baby registry service is 100% free for both the registree and their friends & family. It looks like the completion discount on Amazon.com works the same way as on Babies r us. A one-time discount on select remaining items from registry. It points out that all items you intend to buy have to be purchased at the same time…. This was a really interesting article, but what about WalMart? Any particular reason why it wasn’t even mentioned? I would think that they beat Target in a number of areas, not the least of which being price and accessibility. Truthfully, the main reason is that I simply don’t like Walmart! But I suppose I could cover them for the sake of completeness here. Hi, thanks for a great comparison! My biggest wish from my baby shower is a stroller and I was thinking about asking for gift cards rather than gifts so I can add them up for a stroller. Has anyone done this? 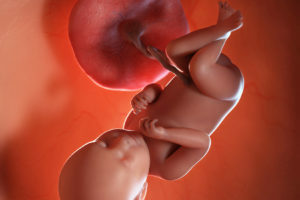 I’m 13 weeks pregnant with my first and just starting to think about where we should register. Initially I was thinking Target as one place because the bedding I want they have. Now I’m not sure, maybe we juts buy the bedding and do somewhere else completely. I do have a question, you mention that amazon you can return things up to 90 days after purchase. What if you didn’t even receive the gift until after the 90 days is up? Did you have any advise or experience with that? Katie, the 90 days starts from the date of delivery, so if you receive the gift after 90 days, you technically can’t return it. In my experience, Amazon will sometimes accept returns after the return timeframe is up, but it’s not reliable. 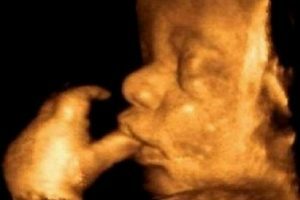 This is my first pregnancy and I’m 17 weeks along. I’ve decided to register via Babies R US, Buy Buy Baby, and I’m thinking to also add Amazon to the list as most of my family is from out of town. As I register across all of these though, do I register for the same items across all OR how does one tackle this? HELP! That’s a hard one. If you register on all of the different sites, there’s a good chance you’ll get multiple of the same item unless your buyers are very good at marking the items off on all the sites. Does anyone else have a good solution? Target gives you a gift bag worth about $50 of baby products in store! I am throwing a baby shower and the mom to be wants to do Amazon for her registry. I’m nervous this is a bad because what if the gifts do not come in time for the baby shower? Some people tend to buy gifts last minute. And will the gifts come in pretty wrapping with a card on who brought the gift? Also, all the gifts will be shipped to her house, then we have to transfer it from her house to the baby shower location. Seems too complicated! The gifts will be shipped to whichever address is assigned to the registry, or to the buyer’s house, and nope, they won’t have any gift wrapping or anything like that. Ideally, the gift buyers will buy from the registry and have it shipped to their house, where they will gift wrap it there and bring it to the shower. Under TARGET YOU MENTION RETURN POLICY IS 90 days then 1 year…wondering which it is? My mistake; I updated and fixed it. It’s one year.